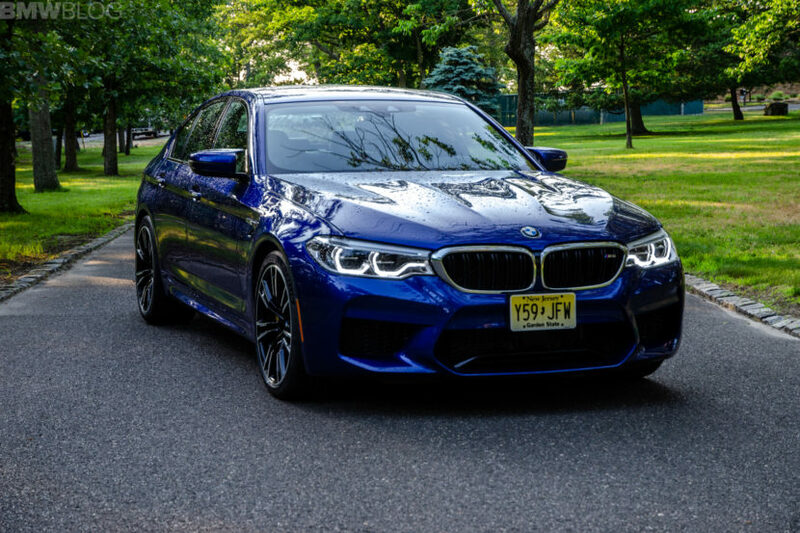 Almost as soon as the F90 BMW M5 debuted, it was put up against its main rival from Affalterbach, the Mercedes-AMG E63 S. Not only because they’re main competitors but also because they’re extremely similar. Both cars are big, heavy luxury sedans with twin-turbocharged V8s, 600 hp and all-wheel drive that sport two-wheel drive modes. In this new video from the new season of Top Gear, Chris Harris races The Stig to see which car is fastest to the main executive business person parking spot. In the video, Harris drives the AMG while The Stig drives the BMW M5. Stiggy cheats and takes off before Harris and easily gets the lead but Harris quickly gets back on his tail. It’s obviously just a bunch entertainment and editing trickery, rather than a real race, but it’s fun to watch and it’s for TV. It’s also fun to watch The Stig constantly get sideways in the BMW M5, because this new version is an absolute animal. In fact, both cars are extraordinary, as they behave in a manner than no luxury sedan of their size should be able to. We truly live in the golden era of performance cars. After a bit, Harris gets ahead of The Stig and is able to slide his way into the parking spot, beating him and the BMW M5. Of course, it’s just television, so don’t get too upset, Bimmer-philes. The BMW M5 is typically the quicker car on track. However, on any given day, with mortal drivers, each of these cars has what it takes to beat the other on both the road and track. They’re both awesome and this video is entertaining to watch. The new Top Gear finally looks like it’s getting the chemistry that we know and love back. Shame LeBlanc is leaving.